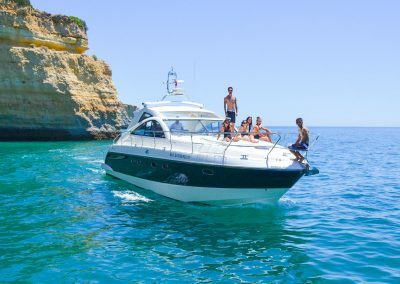 Welcome on board our full day charter cruise, a 7 hour extravaganza along the fantastic Algarve coast where you decide in which direction you wish to travel, our full day private boat rental cruise is unsurpassed in freedom and flexibility with a guaranteed 5 star personalized service! 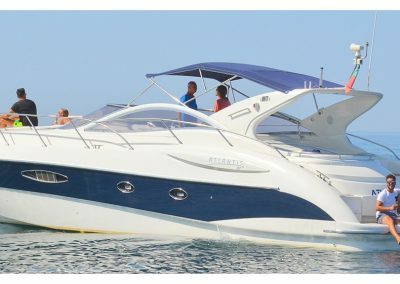 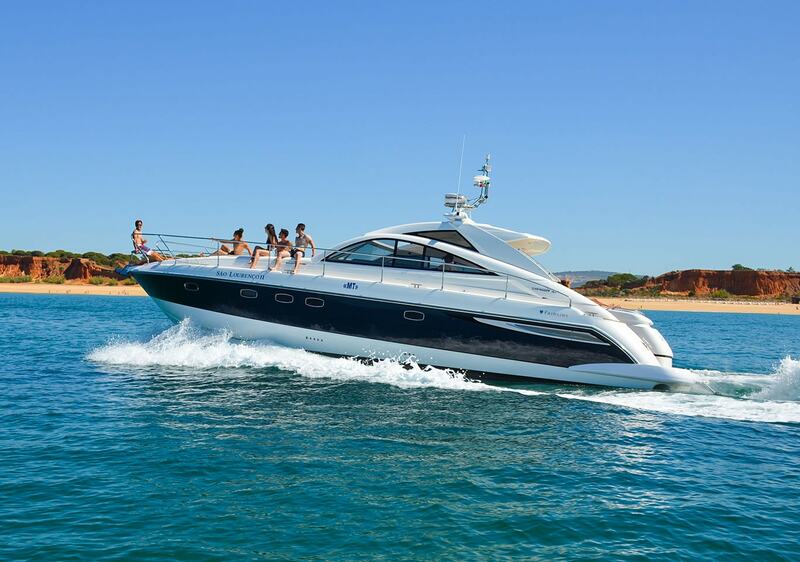 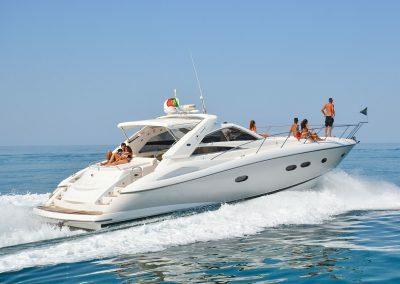 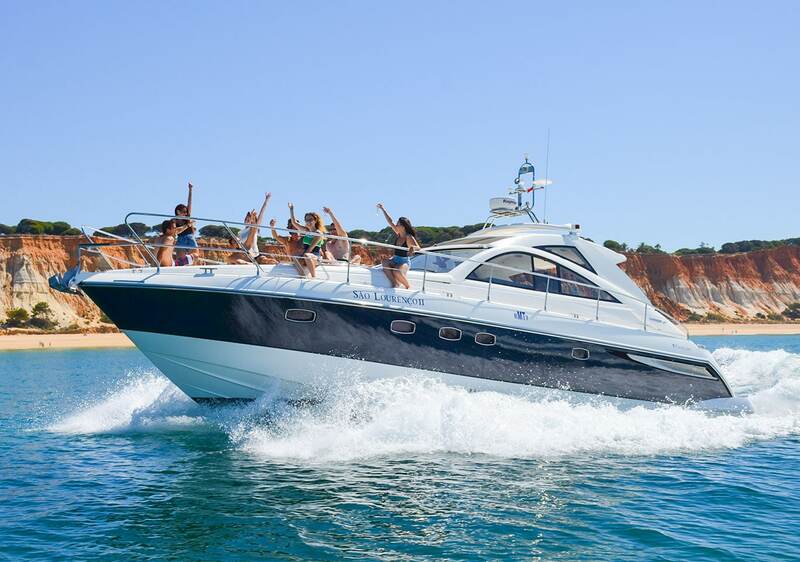 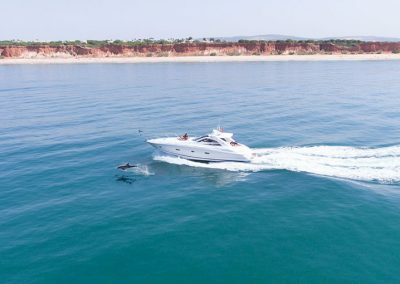 Once on board your yacht the skipper will welcome you with a chilled glass of Champagne then you can discuss the options available to you, should you choose to head west towards Portimao passing Albufeira, Gale, Armacao de Pera, Carvoeiro and Alfazina. 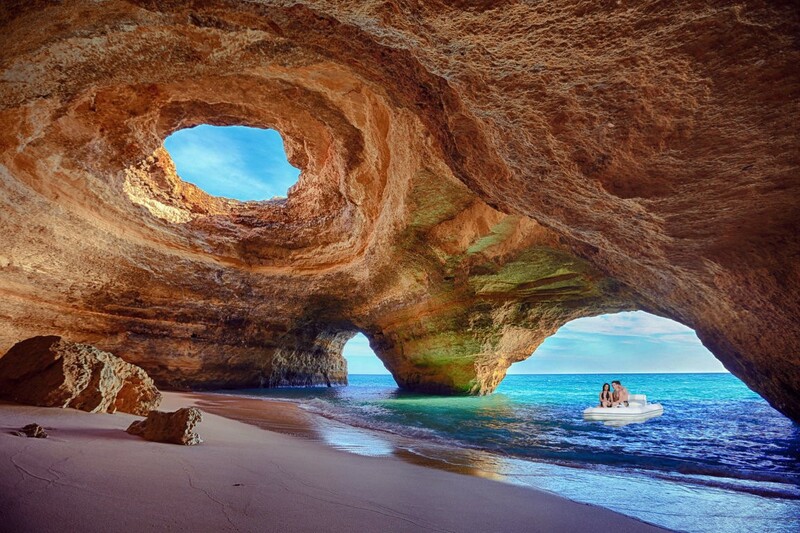 On the way you will discover fantastic beaches, rock formations and many of nature’s wonderful creations. 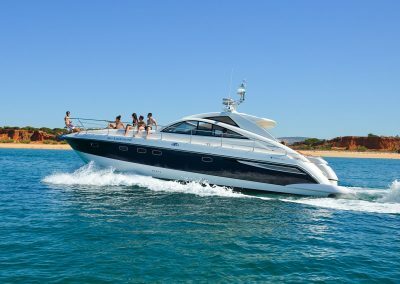 Should you wish we work with many 5 star and Michelin rated restaurants along the coast and we can reserve a table for you, where they can collect you from your yacht via there private tender. 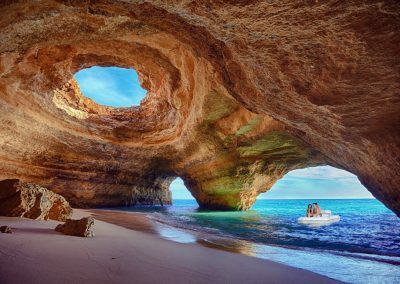 Alternatively you may prefer to head East where you will Discover the Ilha Deserta, the well named ‘Desert Island’, passing Quarteira, Vale de Lobo, Quinta do Lago and Faro. 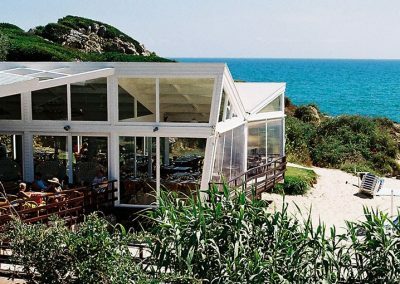 We enter the Ria Formosa and its magnificent nature reserve at Olhao where should you wish, you can stop for lunch at a beautiful beachside restaurant. 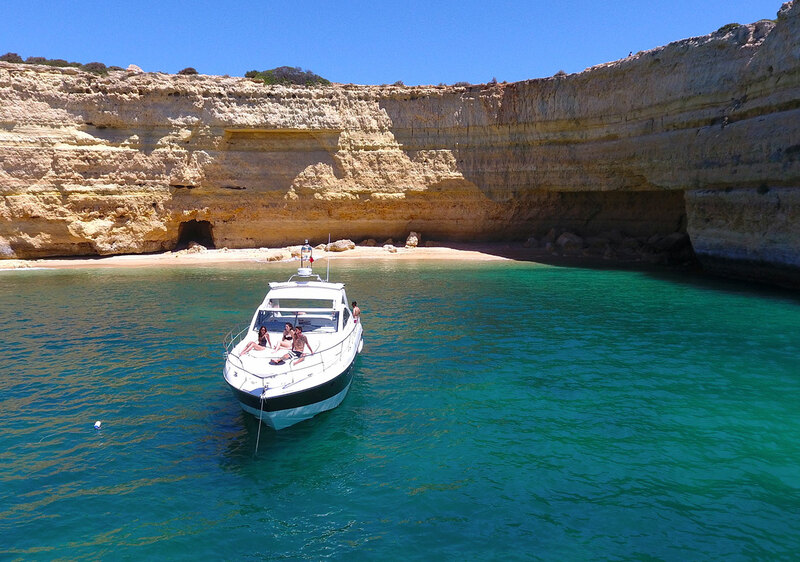 Discover mile upon mile of golden beaches on this superb charter and enjoy a leisurely swim in the majestic clear waters of the Algarve. 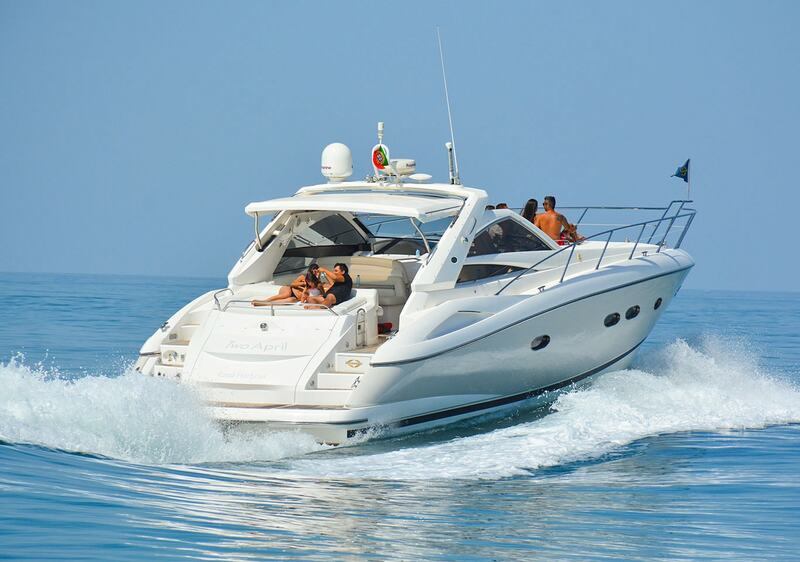 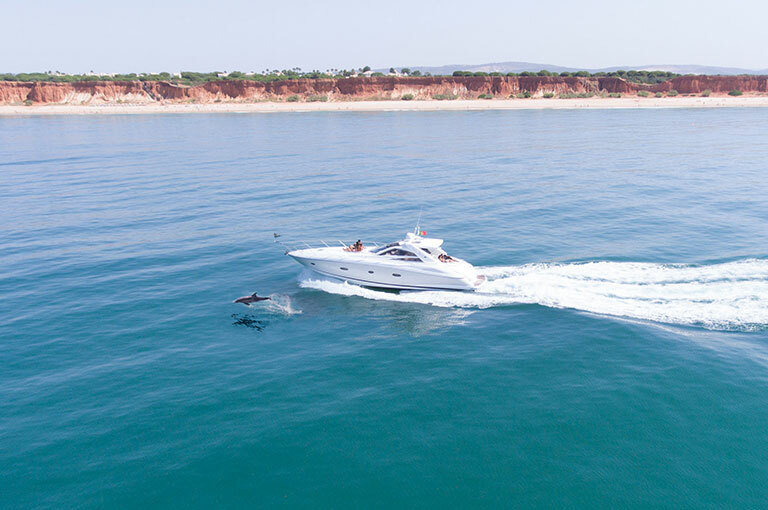 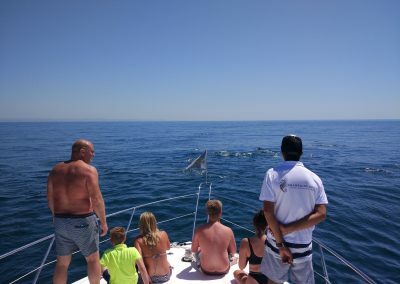 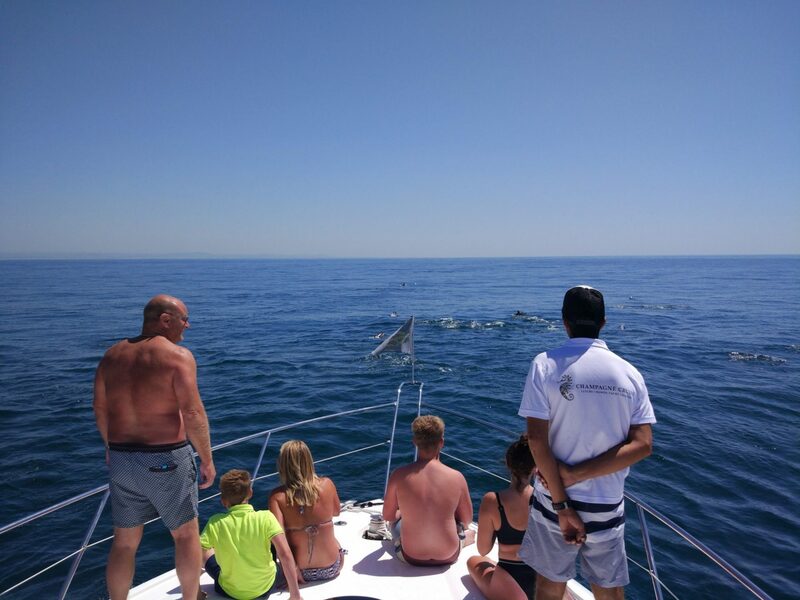 On a full day motor yacht charter in the Algarve we have time to search for dolphins in the wild as well as to explore hidden caves, on this fantastic full day boat charter with our RIB. 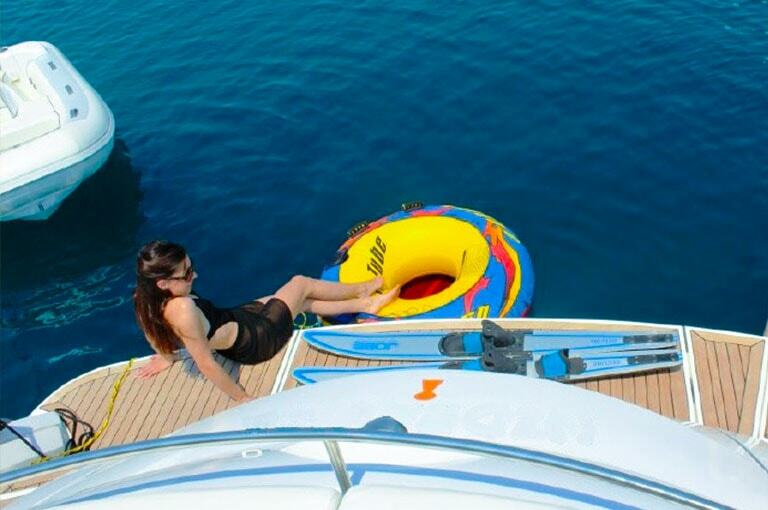 Stop for a swim or even enjoy some exciting watersports. The Full Day boat trips is a favourite choice for people visiting the Algarve. 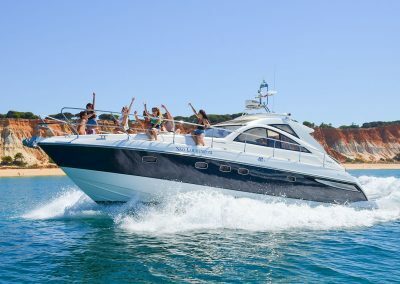 Choose from a selection of yachts to tailor this experience to your group size, budget and tastes. To reserve your time or for more information on a full day luxury yacht charter cruising from Vilamoura along the Algarve coastline in the south of Portugal simply fill in the form below and let us arrange the rest !